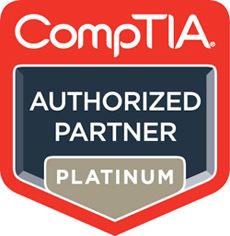 Pearson IT Certification is a Platinum CompTIA Partner, the highest level of partnership. Purchase any CompTIA product and receive 10% off your CompTIA exam voucher. CompTIA A+ 220-801 and 220-802 Simulator helps you reinforce A+ exam topics and develop and enhance the hands-on skills you need to succeed on the exams and on the job. This state-of-the-art interactive simulation software presents you with 260 challenging labs that help you learn by doing, which is the most effective method of learning and the perfect training for CompTIA's new performance-based questions. CompTIA A+ 220-801 and 220-802 Authorized Exam Cram presents you with an organized test preparation routine through the use of proven series elements and techniques. Exam topic lists make referencing easy. Exam Alerts, Sidebars, and Notes interspersed throughout the text keep you focused on what you need to know. Cram Quizzes help you assess your knowledge, and the Cram Sheet tear card is the perfect last-minute review. CompTIA A+ 220-801 and 220-802 Authorized Cert Guide, Premium Edition eBook and Practice Test is a digital-only certification preparation product combining the A+ 220-801 and 220-802 Premium Edition Practice Test, including four full practice exams and enhanced practice test features, with the PDF, EPUB, and MOBI (Amazon Kindle) formats of the CompTIA A+ 220-801 and 220-802 Authorized Cert Guide, which are accessible via your PC, tablet, eReader, and smartphone. "★★★★★ Great resource for A+ certification study, as well as keeping up with current technologies. This book is a great resource for those looking to study for and pass the A+ certification exam as well as anyone looking to learn about or stay current with PC hardware and troubleshooting technology. I have read many books on computer hardware and troubleshooting, but this book is one of the best and most thorough resources that I've read to date. I highly recommend this book for anyone studying for the A+ certification exams, educational institutions looking for a textbook for computer hardware/troubleshooting classes." Amazon reviewer Jim K.
CompTIA Network+ N10-006 Hands-on Lab Simulator helps you reinforce Network+ exam topics and develop and enhance the hands-on skills you will need to succeed on the exam and on the job. This state-of-the-art, interactive simulation software presents you with more than 60 challenging labs that help you learn by doing, which is the most effective method of learning. CompTIA Network+ N10-006 Cert Guide, Premium Edition and Practice Test is a digital-only certification preparation product combining the CompTIA Network+ N10-006 Premium Edition Practice Test, including more than 400 practice exam questions and enhanced practice test features, with the PDF, EPUB, and MOBI (Amazon Kindle) formats of the CompTIA Network+ N10-006 Cert Guide, which are accessible via your PC, tablet, eReader, and smartphone. CompTIA Network+ N10-006 Exam Cram, Premium Edition eBook and Practice Test is a digital-only certification preparation product which includes the Network+ N10-006 Premium Edition Practice Test, with 3 full practice exams and enhanced practice test features; the PDF, EPUB, and MOBI (Amazon Kindle) formats of the CompTIA Network+ N10-006 Exam Cram, which are accessible via your PC, tablet, eReader and smartphone; and access to the digital edition of the Cram Sheet. "★★★★★ This book does an excellent job of reinforcing every aspect of the exam. I bought this especially for the CRAM guide. I understand all the information when studying but truthfully it's the details that start to fade. The CRAM guide is like one huge flash card and for me it works to churn up the details just before the test. It is perfect...6 pages of condensed information giving you the big picture (with all the details) of what you need to pass the test. The software covers everything on the CRAM guide giving you an interactive way to study. After using the A+ Exam Cram this was on top of my list for the N10-006. Protect your investment (test fees) get this book." Amazon reviewer William W.
CompTIA Network+ N10-006 Complete Video Course covers everything in the exam including network devices, topologies, and services; protocol reference models; WAN technologies; network cables and connectors; network design; LAN technologies; network addressing and routing; unified communication; virtualization; network security; and network maintenance. The 200+ videos contained in this product provide you more than 17 hours of instruction. CompTIA Network+ N10-006 Exam Cram, Premium Edition eBook and Practice Test is a digital-only certification preparation product which includes the Network+ N10-006 Premium Edition Practice Test, with 3 full practice exams and enhanced practice test features; the PDF, EPUB, and MOBI (Amazon Kindle) formats of the CompTIA Network+ N10-006 Exam Cram, which are accessible via your PC, tablet, eReader, and smartphone; and access to the digital edition of the Cram Sheet. Kevin Wallace, CCIEx2 (Voice and R/S) #7945, CCSI #20061 brings something special to these videosexperience, and lots of it. Test-taking and depth of knowledge: He has CCIE, twice. Hands-on: He has Cisco experience dating back to 1989 (on a Cisco AGS+ router running Cisco IOS 7.x). He was also a network design specialist for the Walt Disney World Resort, a Senior Technical Instructor for SkillSoft, and a network manager for Eastern Kentucky University. CompTIA Security+ (SY0-401) Complete Video Course contains more than 10 hours of training, with content divided into six parts and a total of 32 video lessons. The videos consist of live trainer discussions, screencasts, animations, and live demos. The video lessons in this course review each exam objective, so you can use this course as a complete study tool for taking the CompTIA Security+ SY0-401 exam. CompTIA Security+ SY0-401 Exam Cram, Premium Edition eBook and Practice Test provides coverage on all the critical information you need to know to score higher on your Security+ exam! This Premium Edition contains an enhanced version of the Pearson IT Certification Practice Test (PCPT) software, with more than 300 practice test questions, plus PDF, EPUB, and MOBI (Amazon Kindle) versions of the CompTIA Security+ SY0-401 Exam Cram which are accessible via your PC, tablet, eReader, and smartphone. "★★★★★ Book is awesome. Love the way the author gets right to the point and even provides up-to-date examples of scenarios of common terminology being used in the work field...the book serves its purpose and helped me study better." Amazon reviewer Franco C.
CompTIA Security+ SY0-401 Cert Guide, Deluxe Edition, Premium Edition eBook and Practice Test is a digital-only certification preparation product which includes the Security+ SY0-401 Premium Edition Practice Test, with four full practice exams and enhanced practice test features; PDF, EPUB, and MOBI (Amazon Kindle) formats of the CompTIA Security+ SY0-401 Cert Guide, which are accessible via your PC, tablet, eReader, and smartphone; complete video solutions to the 31 hands-on labs; and 31 interactive learning activities on key exam topics. "★★★★★ Video Simulations are worth the price. Great book. The best parts were the video simulations. They were real life savers. My only suggestion is that the firewall ACL should be harder. Mr. Prowse was instrumental in helping me pass this nightmare of a test (845 out of 900 although I thought I had failed). His questions and his book are terrific, but it was another suggestion he made. Read more than one book. The Exam Cram was also a great help." Amazon reviewer William G.